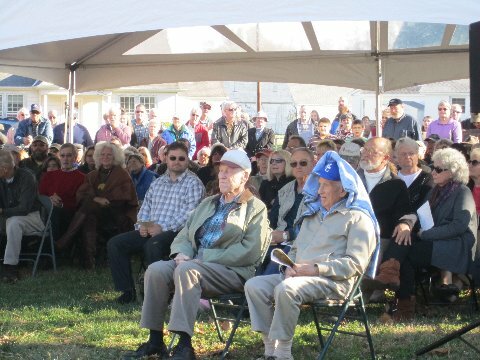 The Blue Ridge Heritage Project is a grassroots effort to honor the sacrifices made by Madison County families and landowners who were displaced so that the Shenandoah National Park could be established. 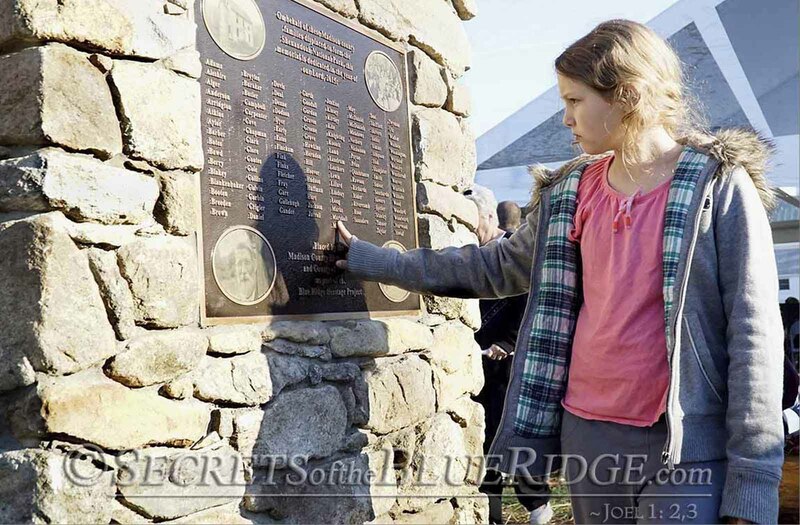 The mission of the project was to create a monument, in the form of a stone chimney with a bronze plaque, to honor these families and their sacrifices. Additionally, the group plans to educate visitors about the families, their stories, and what their life was like on the mountain through cultural displays. 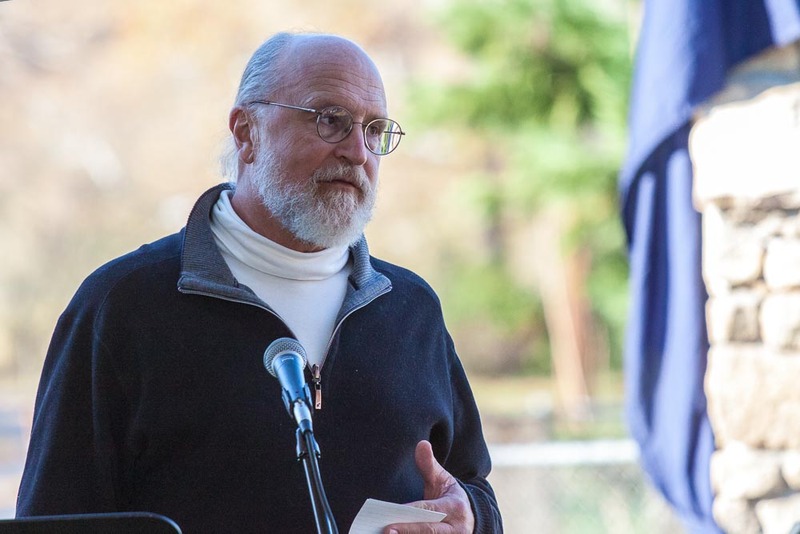 The project plans to encourage historical and cultural tourism to the area and educate these visitors about the people who lived in this area of the Blue Ridge Mountains before the park. Jim Lillard, along with his wife Linda, the Madison Historical Society, and the County of Madison have completed the Madison memorial. Donations will continue the on going effort of education and maintenance. 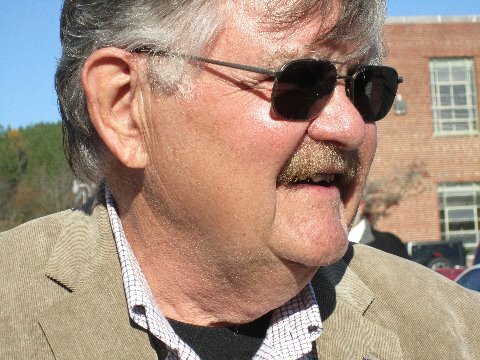 For years, Madison County’s Jim Lillard has dreamed of ways to remember people who once lived in the area now SNP. He had to. One of those people was his mother Margaret Ruth Woodward Lillard, who was born in Park territory in 1918. Things turned out well for Jim’s family (though many others were not so fortunate), but they, nevertheless, were displaced from land they loved. Because Jim wanted to remember and celebrate this heritage, he created “Mountain Memories”, a PowerPoint presentation featuring many photographs of the Park and people and places before the Park. The program debuted in February 2012 at the quarterly meeting of the Madison County Historical Society and has now been presented more than twenty times. When BRHP began in 2013, Jim was the obvious person to head things up in Madison. With support from the Madison County Historical Society and permission of the Board of Supervisors, Jim and his wife, Linda Yurinak, designed and installed a temporary sign on the grounds of the former Criglersville Elementary School. Reactions to this sign, the ensuing publicity, and Jim’s presentations were so favorable that people from the county and beyond generously contributed funds needed for a permanent memorial in Criglersville. 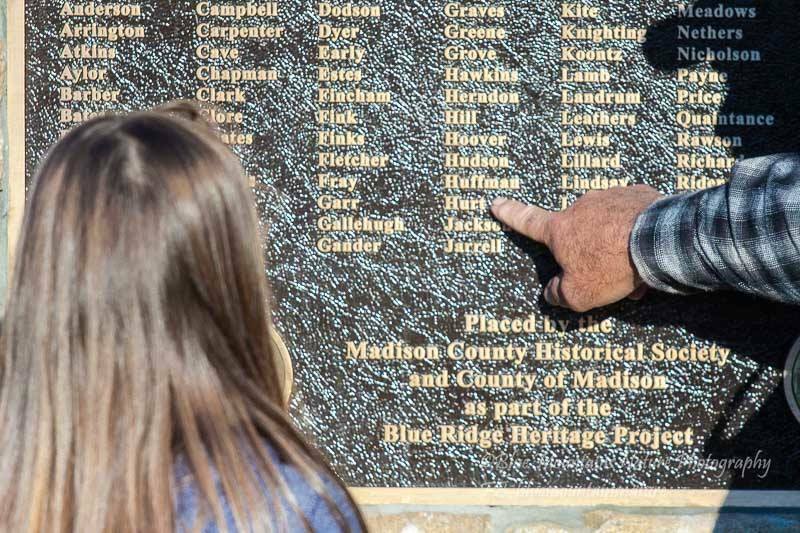 Jim collected and verified 125 surnames of families displaced in Madison County. He and Linda, in consultation with the historical society, designed a bronze plaque listing these names. 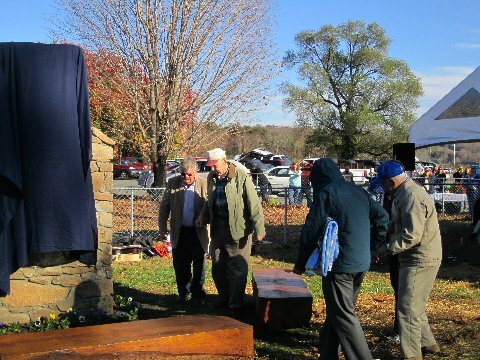 The plaque is mounted on a stone chimney, constructed by Darryl and Jackie Whidby from field stones that were themselves displaced during the county’s Great Flood of 1995. 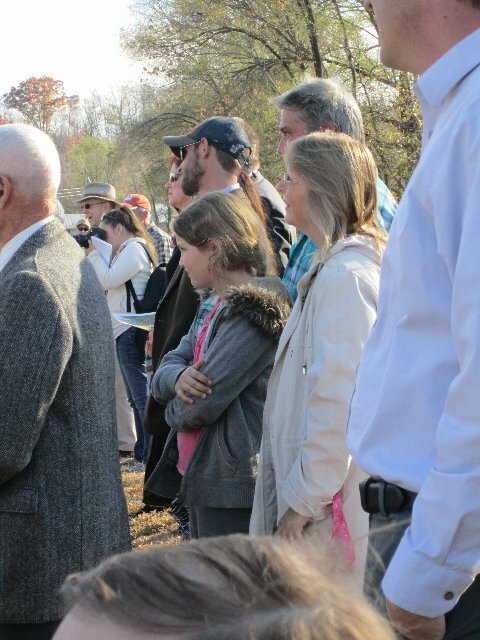 Madison’s memorial was unveiled and dedicated on November 8, 2015. Since the dedication, the historical society has planted several blight-resistant chestnut trees near the Memorial. How Madison’s Memorial Came to Be……..a Timeline. 2013 Jim Lillard kept the MCHS Board up-to-date on his involvement with BRHP. June 2014 Jim attended a MCHS Board meeting to ask the Society to create a fund within its accounting to hold funds donated for a memorial in Madison County. The Board approved this request, and the fund was established. 29 June 2014 Public meeting in Madison to introduce citizens to BRHP and plans for a memorial within the county. Bill Henry and Jim Lillard spoke and fielded questions from the audience. 31 July 2014 The Madison County Eagle published two articles (one by Kit Johnston, one by a reporter) about displacement and the project. August 2014 An article about the project and ways to contribute money appeared in the MCHS newsletter. Fall 2014 Jim displayed a portable memorial sign and distributed information sheets at numerous meetings and at the two Holiday Markets at the Madison Fire House. April 2015 The Madison County Board of Supervisors approved erection of a portable memorial sign on the grounds of the former Criglersville School. Jim Lillard and his crew promptly erected the sign under a small shelter. Strong media coverage kept interest in the project high and explained how the public could contribute financially. July 2015 The Madison County Board of Supervisors approved construction of a permanent memorial at the Criglersville site. Construction, under the direction of Jim Lillard, began immediately. Media coverage continued to be strong, and generous donations funded construction of the memorial. 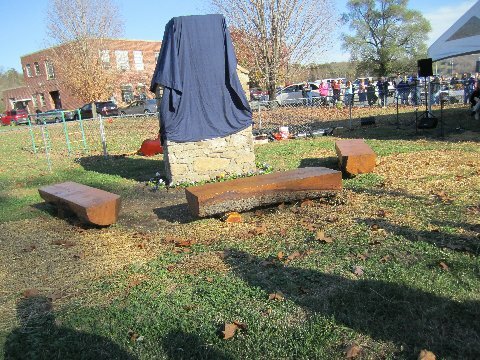 8 November 2015 The completed Memorial was unveiled at dedication ceremonies arranged by the Madison County Historical Society. All is good at Criglersville. The pansies planted for the dedication festivities last November flourished during the winter and spring of 2016. 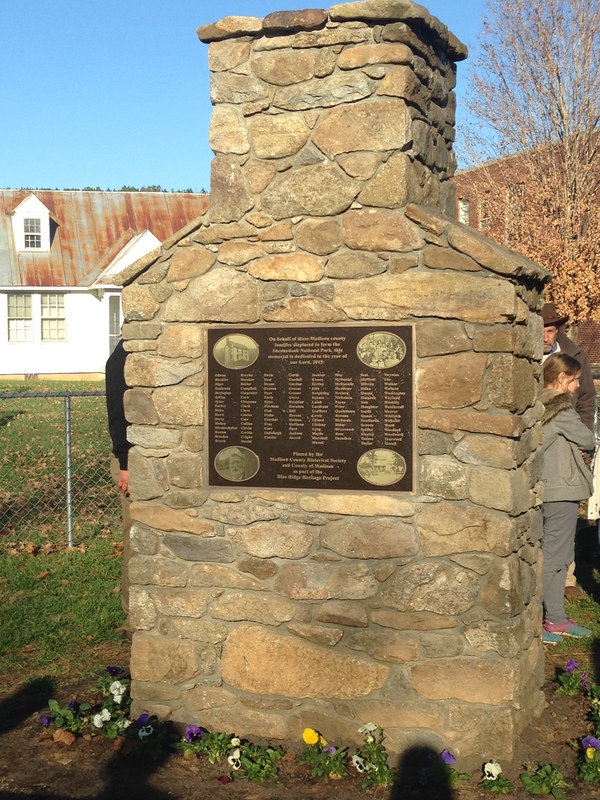 The daffodils bloomed on schedule, and the chimney stands proudly to hold the plaque remembering Madison families displaced during the acquisition of land for Shenandoah National Park. Max Lacy and Jim Lillard continue to care for the Memorial area. They have added mulch, planted more flowers, and nurtured the three blight-resistant chestnut trees planted near the memorial. Behind the scenes, the Madison County Historical Society has submitted an application to the Virginia Department of Historic Resources to place a Virginia Historical Highway Marker to recognize the Old Blue Ridge Turnpike. This marker will be placed near the chimney. Kristie Kendall of BRHP and Piedmont Environmental Council consulted with Ann Miller of VDOT and prepared the application. 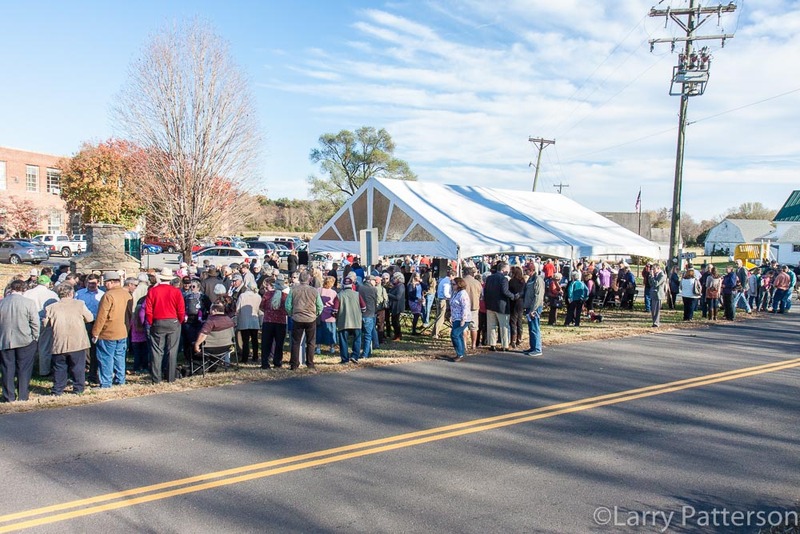 Future projects for Madison include paying for the highway marker, installing a plaque thanking the late Linda Yurinak for all she did to bring the memorial to fruition, and the eventual creation of interpretative displays near the chimney.